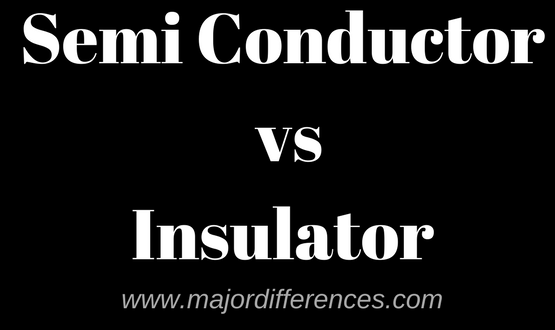 A semi conductor is a solid substance that has electrical conductivity between a conductor and an insulator. This property makes it suitable for the control of electric current. 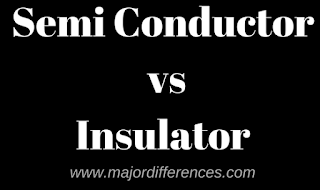 A insulator is a substance that does not allow the flow of electric current. Diamond, mica, glass and wood are insulators. Generally conductivity increases with rise in temperature as the electrons will go to the upper band. The availability of free electrons in the conduction band increases conductivity. Pure semi-conductors become insulators at absolute zero (0 K) as there are no free electrons. *The resistance-change factor per degree Celsius of temperature change is called the temperature coefficient of resistance.